We are contacting you to raise the case of Wandgu [旺堆] and to urge you to take all measures within your power to reveal his current location and secure his immediate release. Wandgu is an HIV/AIDS activist from Lhasa. 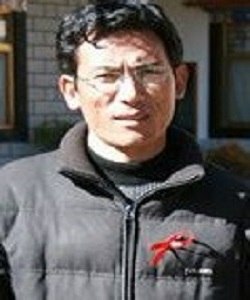 He was detained on 14 March 2008 during the protests against Chinese control over Tibet and was subsequently charged with espionage and sentenced to life imprisonment. During his detention he was reportedly beaten, raising serious concerns that any confessions he provided prior to or during his trial could have been extracted under duress, a violation of China’s obligations under international law, as well as China’s Criminal Procedure Law and its 2016-2020 Human Rights Action Plan. According to Chinese officials, Wangdu has been detained in Drapchi Prison, however, his current detention conditions and wellbeing are unknown. The last update on Wangdu, from 2012, described him as being kept in solitary confinement in the prison hospital with injuries resulting from beatings in prison.